We went to La Jolla for the Fourth of July. 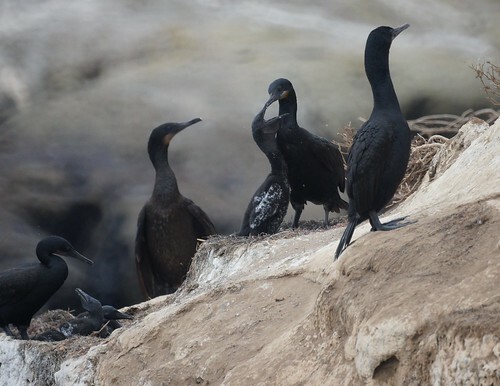 We knew there would be cormorants on the rocks, but were surprised to find two cormorant nests . 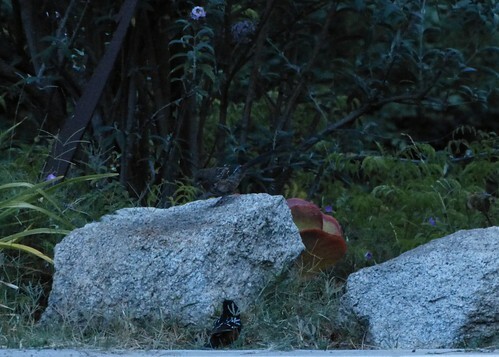 Mike has been a bit obsessed with the Juvenile Spotted Towhee. 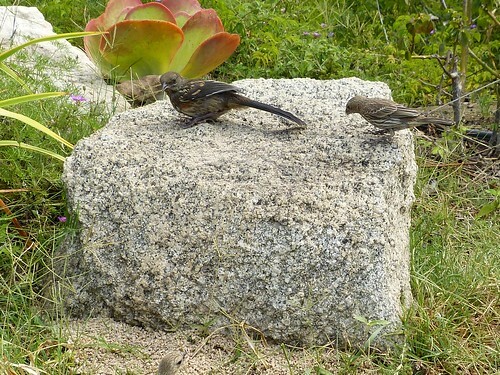 We were so worried our spotted towhees wouldn't have offspring and were thrilled to see the juvenile at our "feeding" rock. 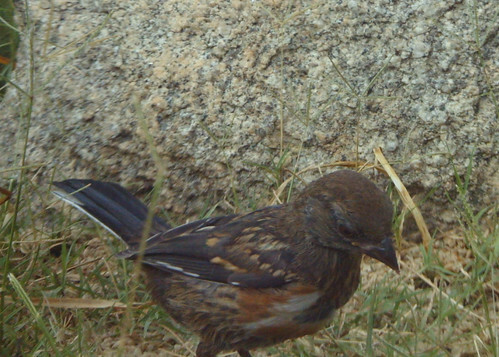 The first photo was taken with the birdcam that does motion detection. The second one was taken by Mike at 5:30am. 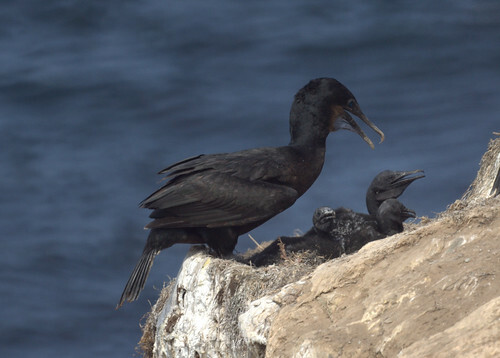 The juvenile gets here pretty early and while getting ready to set up the birdcam, the juvenile and a parent came by.